Boulder County works to improve indoor and outdoor air quality through education, monitoring and policy. 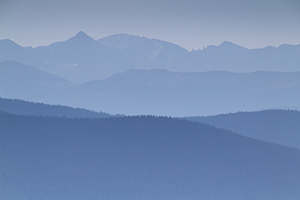 Stay up-to-date with air quality conditions in Boulder County. On an air quality action day, people with sensitive respiratory systems are encouraged to avoid exercising outdoors. There are also indoor burning restrictions in the winter. Colorado summers can bring ozone action days which can make it difficult for everyone to breathe. 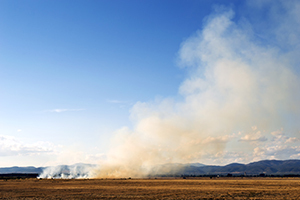 Burn permits are required for open burning of slash in Boulder County. Permits may be denied if a practical alternative method of disposal exists. Learn more about requirements for spring, summer, fall, and winter, as well as alternatives to open burning. 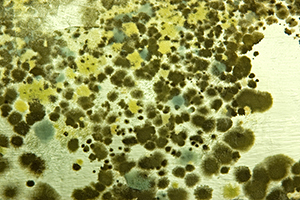 Mold (or mildew) is the common name for fungi in the indoor environment, although molds are found everywhere in both the indoor and outdoor environment. Learn more about the health effects, prevention, and how to fix the problem.